Immediately after and in the years following a bankruptcy, it can be difficult to understand just where you stand when it comes to credit, loans and mortgages. Declaring bankruptcy and recovering from the experience is not an easy process, but it doesn’t mean that obtaining a mortgage is never going to be a possibility. By using a specialist bankruptcy mortgage broker, you expand your options considerably over what’s available on the high street and increase your chances of getting a mortgage after bankruptcy. If you’re one of the many people who have found themselves trying to find the answer to ‘after bankruptcy, can I get a mortgage?’, then Simply Adverse are the right mortgage brokers for you. Why Choose Simply Adverse for Bankruptcy Mortgages? At Simply Adverse, adverse credit history is what we specialise in, not something that we deal with as an add-on service. We have the experience, the expertise, and the dedicated professionals to help you find a mortgage from our extensive bankruptcy mortgage lenders list. Our entire mortgage broker service is tailored towards individuals with poor credit ratings, whether the rating is a result of bankruptcy, CCJs, missed payments, or anything in between. From the first-class support that we provide to the 7-day a week service that all our clients receive, when you choose Simply Adverse, you’re getting the best professional assistance with arranging a mortgage. If you’ve filed for voluntary or forced bankruptcy and are looking to move on and apply for a first or second mortgage, or a remortgage, then Simply Adverse are the only broker service that you need to contact. 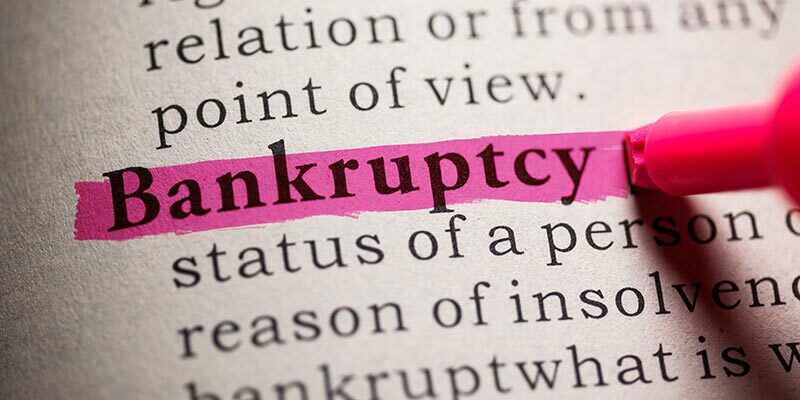 Bankruptcy is a type of insolvency that means that an individual is declaring that they’re no longer able to make the repayments on their debts. All responsibility of the debts after bankruptcy will normally fall to an appointed trustee/insolvency practitioner. For a period of 12 months, they will manage the individual’s financial affairs, including what percentage of income and assets will be used to repay the debts. If an individual is unable to pay a debt or multiple debts that amount to more than £5,000, then a creditor may petition for them to be made bankrupt. It’s also possible to voluntarily enter into bankruptcy, if an individual believes that they’re unable to repay the debts that they owe. Being made bankrupt means that an individual’s accounts are frozen, and their assets are sold. Any funds that are generated through the sale will be used to repay the debts, and the individual will be limited by what credit they can apply for – a sum more than £500 will require declaring a history of bankruptcy. Twelve months after an individual is made bankrupt, they’ll be discharged, which means that their debts will be written off if they’re unsecured. While the individual will be free of most debts after this time, with the exception of certain debts like student loans, bankruptcy can still affect their ability to apply for credit for many years after. If you’ve been made bankrupt and are looking to secure a mortgage, then Simply Adverse can help. Our experts have helped many people in the UK to secure mortgage approval after bankruptcy with no upfront fees. Contact us today for more information about getting a mortgage post bankruptcy. An IVA is a legally binding arrangement between you and your creditors. It’s a type of insolvency that means an agreement has been reached with your creditors that allows you to pay off debt at an affordable rate over a period of time. An IVA is not available or suitable for everyone, as you need a sustainable ongoing income source and it is only for unsecured debts. This means that it is suitable for credit cards, outstanding bills, personal loans, payday loans and arrears with utility suppliers, but secured debts like mortgages, of student loans and child support would have to be paid separately. As it’s a form of insolvency, an IVA has a negative impact on your credit file and financial situation. At Simply Adverse we can help you with mortgage applications if you’ve had an IVA. The simple answer to ‘can I get a mortgage after bankruptcy?’, is yes. It comes as quite a surprise to many people, but you aren’t automatically excluded from applying for a mortgage after bankruptcy. However, it does greatly limit your options for lenders, and commonly, mortgage rates for bankruptcy are higher than mortgage rates for people who have a good credit rating, with typically a larger deposit being required. Using a specialist mortgage broker, who is used to working with people with adverse credit, is the best way to overcome the problem of the very limited number of high street lenders who offer bankruptcy mortgage options. The experienced advisers, specialist pre-underwriters, and communicative case managers at Simply Adverse are on hand 7 days a week to help you to secure a bankruptcy mortgage on the house of your dreams at competitive rates. How Soon After Bankruptcy or an IVA Can I Get a Mortgage? The chances of getting a mortgage after bankruptcy can change depending on your exact circumstances and the time that has passed between being made bankrupt and the date of your application and discharge. As well as the bankruptcy order, any other causes of a bad credit history will also be taken into account. If you have a CCJ, a record of payment defaults, or you’re not listed on the electoral roll, then the chances of getting a mortgage will be lower. Want expert advice on the bankruptcy mortgage waiting period, or help finding mortgage after bankruptcy lenders? Call the friendly experts at Simply Adverse today. Getting a Mortgage After Bankruptcy: How Does It Work? Applying for a mortgage after bankruptcy is not vastly different to the standard mortgage procedure. However, the options are a lot more limited, particularly if you’re only searching for high street lenders, as most high street lenders do not lend to discharged bankrupts. In many instances, Simply Adverse can help you to find suitable mortgage companies that deal with bankruptcies, but it’s always worthwhile looking at where you can improve your credit profile in order to get better mortgage rates. Understanding exactly where you stand with your credit rating is important if you want to improve your chances of getting a mortgage. By checking your credit history displayed by agencies like Experian, Equifax, and Call Credit, and requesting a credit report, you can make sure that any information that is incorrect is cleared up, so your rating isn’t lower than it should be. Ensuring the accuracy of details such as previous addresses and outstanding credit is critical. Once you have an idea of your current credit rating, you can start rebuilding your credit score. This can be a very slow process, but it will pay off in the long run, and you’ll find that a larger number of lenders will consider your application. The larger the deposit that you’re able to put down, the bigger your chances are of securing a mortgage. Biding your time and saving up a good deposit will greatly increase your chances of getting a good mortgage. Many lenders, and brokers, assess the loan to value. This is your mortgage as a percentage of the overall purchase price, or market value if remortgaging. When looking at mortgages, it’s important not to search repeatedly by making multiple credit applications, as you risk damaging your credit score. For any concerns over bad credit, speak to us first and get a better idea of how to proceed for the best results. Our bankruptcy mortgage quiz is one of the fastest ways to get an insight into your eligibility for a mortgage. The quiz doesn’t take long to complete and will help you to get a clearer picture of where you stand with bankruptcy and getting a mortgage, without a credit check. For professional advice about obtaining a mortgage after bankruptcy, and to see for yourself why Simply Adverse has outstanding reviews, call our mortgage experts today. Simply Adverse have been trading in adverse credit mortgages since 2009 and have helped a large number of people achieve excellent mortgage rates for bankruptcy mortgages during this time. We provide a broker service that prides itself on excellent support and whole market coverage, as shown by our hundreds of glowing reviews. We make it our aim to simplify the whole mortgage application process for you, providing impartial and professional advice throughout every step of the process. At Simply Adverse, we provide a comprehensive mortgage broker service for people that have gone through bankruptcy or have adverse credit. We can provide professional advice, search the whole market for highly competitive post bankruptcy mortgage rates, and bring you exclusive rates that are not available on the high street. Our expert support covers you throughout the whole process of finding mortgage lenders for bankruptcies. There are no upfront costs or fees and you’ll only be charged once a formal offer is in place and the bank is fully committed to lending you the mortgage amount. When you choose Simply Adverse, you’re not tied into the process, you can choose to walk away at any time pre application. If you’re concerned about whether you’ll be accepted by mortgage companies for bankruptcy, you can take our specially designed bankruptcy mortgage quiz, which will reveal your eligibility for mortgage approval after bankruptcy. What Bankruptcy Mortgage Lenders Do Simply Adverse Work With? Simply Adverse have access to all the bankruptcy friendly mortgage lenders; with full market coverage, you get the best deals from all lenders, as well as deals from specialist lenders and exclusive rates. For more information about the mortgage lenders that we work with at Simply Adverse, you can contact our expert advisers 7 days a week. Simply Adverse is a trading style of Simply Investment Ltd. Simply Investment Limited is an Appointed Representative of Simply Lending Solutions Ltd who are authorised and regulated by the Financial Conduct Authority. We are fully Cemap qualified to provide expert advice on adverse credit mortgages in the UK. If you need an intermediary to step in and help you to improve your chances of getting a mortgage after bankruptcy, and find the best post bankruptcy mortgage rates, then the unrivalled, trusted service provide by Simply Adverse should be your first point of call.